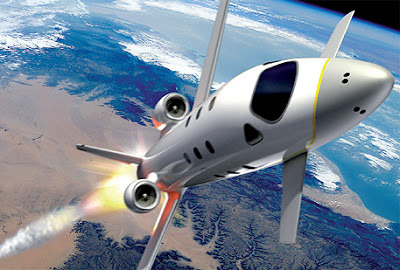 Private Spaceship makes first trip to the space. Virgin Galactic's SpaceShipTwo was carried aloft by its mothership to an altitude of 45,000 feet and released over the Mojave Desert,California. After the separation, SpaceShipTwo, manned by two pilots, flew freely for 11 minutes before landing at an airport runway followed by the mothership. It's reported that the entire session lasted only 25 minutes. The six-passenger SpaceShipTwo is undergoing rigorous testing before it can carry tourists to space. In the latest test, SpaceShipTwo did not fire its rocket engine to climb to space. SpaceShipTwo will make a series of additional glide flights before rocketing to space. And, it's said that anyone paying for space ticket which cost $200,000 would have the opportunity to travel in the space. First ever true space flight at private level is becoming a reality in coming months.